Two of the most commonly alleged features of Japanese society are its homogeneity and its encouragement of conformity, as represented by the saying that the nail that sticks up gets pounded. The primary goal of Nosco’s volume is to challenge these and a number of other long-standing assumptions regarding Tokugawa (1600-1868) society, and thereby to open a dialogue regarding the relationship between the Japan of two centuries ago and the present. The volume’s central chapters concentrate on six aspects of Tokugawa society: the construction of individual identity, aggressive pursuit of self-interest, defiant practice of forbidden religious traditions, interest in self-cultivation and personal betterment, understandings of happiness and well-being, and embrace of “neglected” counter-ideological values. Nosco argues that when taken together, these point to far higher degrees of individuality in early modern Japan than has heretofore been acknowledged, and in an Afterword he briefly examines how these indicators of individuality in early modern Japan are faring in contemporary Japan at the time of writing. 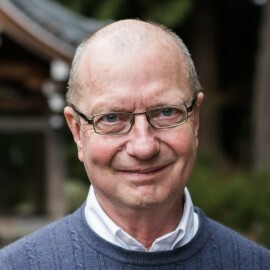 Peter Nosco is a Professor currently teaching at the University of British Columbia. He earned his PhD in Japanese thought at Columbia University. His research focuses on the intellectual and social history of seventeenth- and eighteenth-century Japan, with published work on Confucianism, nativism, popular culture, underground religious movements, and most recently public sphere. He has published numerous well-known books and has edited several volumes, including Remembering Paradise: Nativism and Nostalgia in 18th-Century Japan, Confucianism and Tokugawa Culture, and Values, Identity, and Equality in Eighteenth- and Nineteenth-Century Japan. His latest work, entitled Individuality in Early Modern Japan: Thinking for Oneself, was just recently published in September, 2017.